The infrastructure, platform, process, people, and network are all integral pieces of the Hybrid Solution Center puzzle. Over the past few weeks, LightEdge has highlighted each of these elements and their importance to building successful cloud environments in today’s evolving landscape. As hybrid cloud deployments increase, it’s important for businesses to find a partner that understands the complexity and can act as a trusted advisor throughout this process. LightEdge is that partner. LightEdge provides an easy path to public cloud resources, while keeping customer’s compliant, restricted data safe in our private cloud. 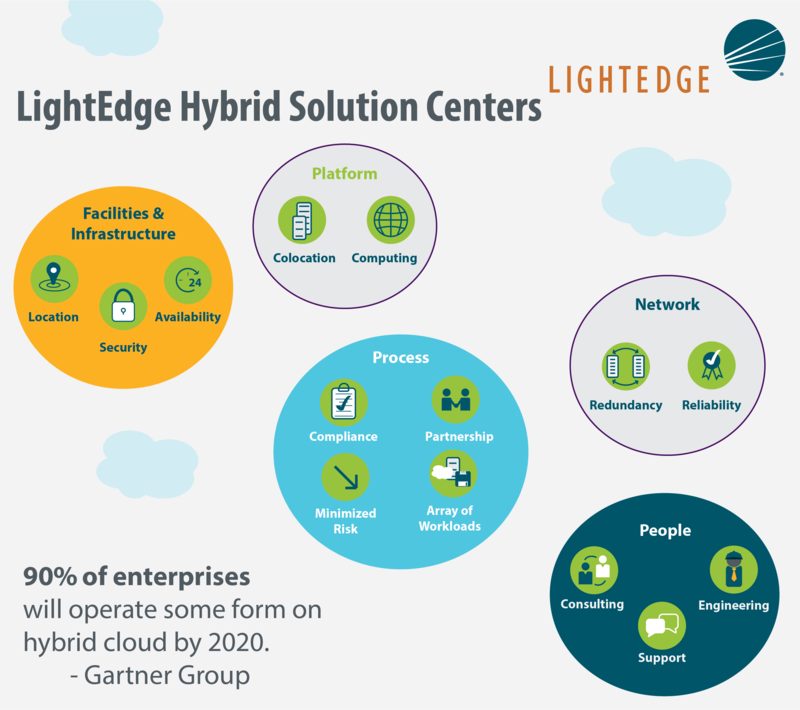 The LightEdge Hybrid Solution Center offers custom solutions for customer requirements, no matter what hybrid cloud deployment model is best. Missed the Hybrid Solution Center Series? A world-class consulting and engineering organization with the breadth of skills to perform workload profiling, create hybrid cloud roadmaps, and optimize network setups to achieve the highest possible application performance. We have the know-how to help customers configure and implement custom hybrid deployments. The emerging hybrid cloud puzzle will become more complex, as new, differentiated clouds-based services emerge. Selecting a partner that understands today’s options and has the capabilities to architect, implement, and manage hybrid cloud solutions is critical. LightEdge has created its Hybrid Solution Centers to serve demanding cloud computing requirements, and to provide a transparent access and connectivity point to other cloud services required by the enterprise.